Replacing traditional cooking fires and stoves in the developing world with "cleaner" stoves is a potential strategy to reduce household air pollution that worsens climate change and is a leading global killer. A new study by researchers from the University of British Columbia, University of Washington and elsewhere—which measured ambient and indoor household air pollution before and after a carbon-finance-approved cookstove intervention in rural India—found that the improvements were less than anticipated. Actual indoor concentrations measured in the field were only moderately lower for the new stoves than for traditional stoves, according to a paper published in June in Environmental Science & Technology. The study is one of only a handful to measure on-the-ground differences from a clean cookstove project in detail, and the first to assess co-benefits from a carbon-financed cookstove intervention. Additionally, 40 percent of families who used a more efficient wood stove as part of the intervention also elected to continue using traditional stoves, which they preferred for making staple dishes such as roti bread. That duplication erased many of the hoped-for efficiency and pollution improvements. Laboratory studies suggested that the more efficient, cleaner-burning stoves could reduce a family's fuelwood consumption by up to 67 percent, thereby reducing household air pollution and deforestation. In practice, there was no statistically significant difference in fuel consumption between families who used the new stoves and families who continued to cook over open fires or traditional stoves. Without field-based evaluations, clean cookstove interventions may be pursued under carbon financing programs that fail to realize expected carbon reductions or anticipated health and climate benefits, the study concludes. "A stove may perform well in the lab, but a critical question is what happens in the real world?" said lead author Ther Wint Aung, a doctoral student at UBC's Institute for Resources, Environment and Sustainability. "Women who are busy tending crops and cooking meals and caring for children are using stoves in a number of ways in the field that don't match conditions in the lab." Across all households, average indoor concentrations of particulate matter, an unhealthy component of cooking smoke that can contribute to lung and heart disease, increased after the intervention stoves were introduced—likely because of seasonal weather patterns or food rituals that required more cooking. 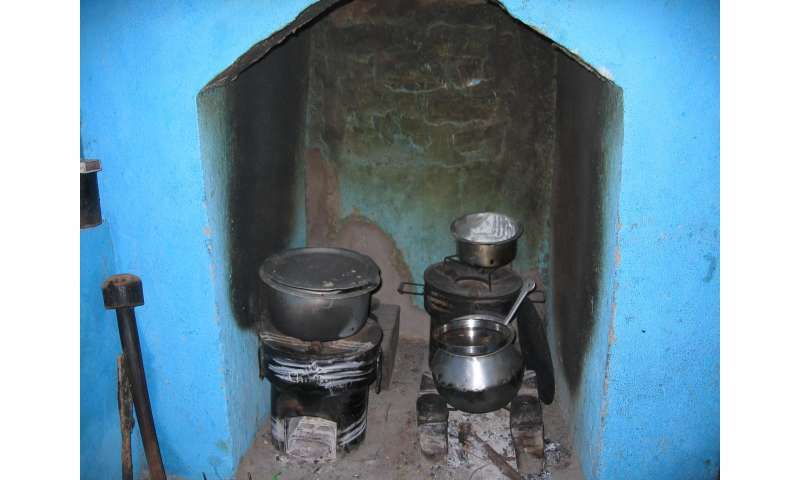 The median increase, however, was smaller in homes where families exclusively used intervention stoves—51 micrograms per cubic meter, compared to 92 micrograms per cubic meter for families who used both intervention and traditional stoves and 139 micrograms per cubic meter for the control group of families who continued cooking on a traditional stove. "On the one hand, there was less of an increase in some pollution levels and that's a win. But on the other hand, it feels pretty far from a complete solution," said co-author Julian Marshall, UW professor of civil and environmental engineering. The cookstove intervention the research team studied was the first stove intervention in India approved for financing under the Kyoto Protocol's Clean Development Mechanism, which allows wealthier countries to reduce their climate emissions by investing in projects that provide climate benefits elsewhere. 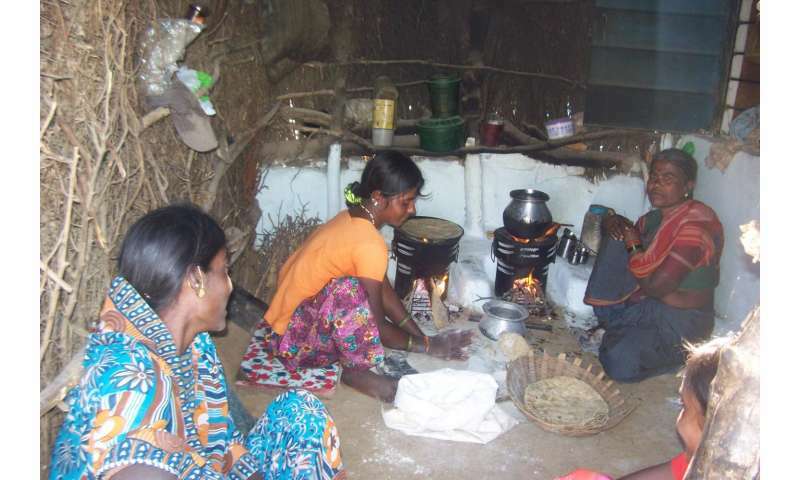 Among 187 families who cooked with traditional stoves that burn wood or agricultural waste in the Koppal District of Karnataka in southern India, approximately half were randomly assigned to receive intervention stoves—a single-pot "rocket" cookstove that burns the same biomass fuels. Randomization allowed the two groups to be comparable on demographic and socio-economic variables that may influence the outcome of measures, thereby minimizing potential bias. The community-based organization leading the intervention has a history of working in the region and took care to address issues promptly and ensure that the new stoves were culturally acceptable, such as lowering the height of the stoves to meet the ergonomic needs of the women using them. The research team took detailed measurements of how much wood the two groups burned—as well as air pollution within the household cooking areas and at sites in the center and upwind of the village—before and after the intervention stoves were introduced. The researchers also measured black carbon—a less studied component of smoke that has negative health effects and also contributes to climate change—and found intervention stoves increased the proportion of that pollutant in the smoke. Next steps for the research team include investigating whether giving families more choices among intervention stoves—with the goal of finding one that would meet a wider range of their needs—could further reduce reliance on traditional, more polluting stoves. "We haven't cracked this nut yet," Marshall said. "But maybe that's the nature of this problem—maybe we're going to have small, incremental steps forward. Maybe it's not going to be a vaccine-type approach where you have one giant step that dramatically reduces the problem." "Ultimately households throughout the world will desire the same clean cooking technologies used in high-income countries and in most urban areas: electricity or gas," said co-author Michael Brauer, UBC professor in the School of Population and Public Health. 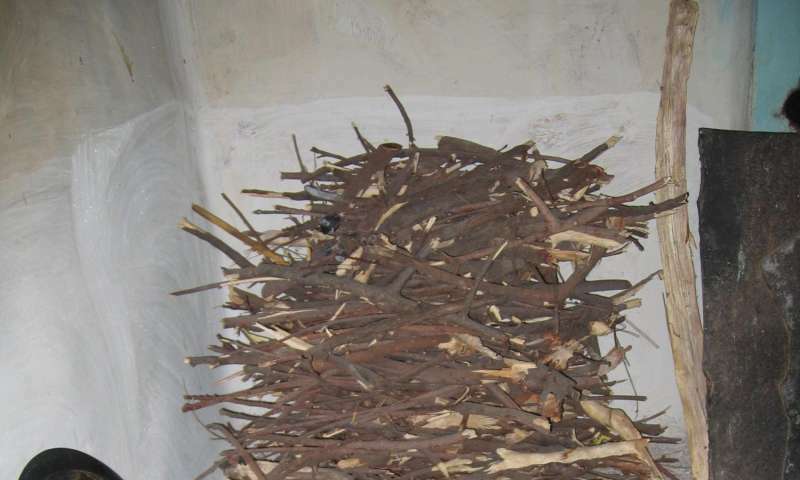 "This study suggests that the interim solution of cleaner biomass stoves remains elusive." Could it be that all those technical measures get sooner or later more than offset by the unmitigated family and thus population growth? Why does nobody invest into the obvious answer to deforestation, poverty, climate change etc. etc. ?